First Aid Training is an essential part of the Air Cadet training syllabus and is mandatory for all our staff and cadets. This training and knowledge fulfils our obligation to broaden citizenship skills and also equips our people with skills that can be used when things go wrong. All cadets and staff are required to undertake First Aid Training as part of their ongoing development. 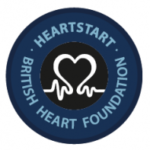 The Blue HeartStart Badge is the introduction to First Aid in the Royal Air Force Air Cadets. The award is an initiative coordinated by the British Heart Foundation (BHF) to promote and develop Emergency Life Support (ELS). It is achieved during a 2 hour practical training session. 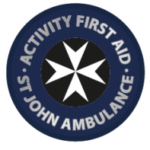 The aim of this award is to provide enhanced first aid training and is completed over a weekend. The qualification is valid for 3 years before it has to be retested. 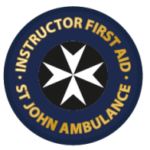 The aim of this award is to provide comprehensive first aid training and it is gained over a weekend training session. The qualification is equivalent to First Aid at Work which is a recognised workplace vocational qualification. 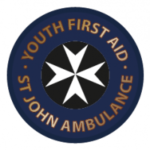 This award provides training that will allow a cadet to become an instructor and assessor for Youth First Aid Bronze Badge.